Easy Mexican Caramel Sauce and Banoffee Trifle for your next Party! Good morning! I am back from my fabulous Bangkok break (courtesy Tourism Authority of Thailand) and I shall be posting about it in detail soon. Meanwhile, here’s a sneak peek. Since Christmas is nearly upon us, I thought I’d share a recipe to make a very simple, yet impressive dessert – the Banoffee Trifle. This happened quite by chance since I had received a complimentary pouch of goat’s milk from Local Banya (which by the way, I totally recommend – they have made my life so much simpler!). I guess goat’s milk is an acquired taste since I didn’t particularly care for it in my coffee and the husband didn’t like his tea with it either. So I trawled the internet for ideas on how to use it (in another form!) and I came across this recipe for Cajeta (pronounced caa-h-yea-ta). This is a traditional Mexican sweet, very much like caramel sauce. The only difference is that it’s made using goat’s milk (or a combination of goat’s and cow’s milk). Though it’s a slightly lengthy process, the recipe itself is quite simple. And the outcome is a naturally salted and perfectly golden caramel sauce. It’s difficult not to stick your finger it in and lick it clean 😉 I made this sauce couple of weeks ago and refrigerated it. The Banoffee Trifle was made this weekend for a lunch AND dinner party! Give it a go; it’s super-easy. Here’s how to make Cajeta. This recipe makes 250-300 ml. Combine the milk, sugar and vanilla bean in a large, heavy-bottomed pot and place over medium heat. Stir regularly till the sugar dissolves and the milk starts to bubble. Do NOT boil. Remove from heat and add the baking soda dissolved in water. The mixture will bubble up at this point. Return the pot to the heat once the bubbles have subsided. Keep cooking and stirring regularly on a low to medium heat. Again, do not allow the mixture to boil. It takes about 45-60 minutes for the caramel sauce to thicken. Keep stirring and do not allow the sauce to stick to the bottom of the pan. You’re looking for a medium thick sauce that you can spoon over (rather than pour over). Once the desired consistency is reached, take the pan off the heat and remove the vanilla bean. If the sauce is too thick, add some hot water bit by bit till you get the consistency you’re looking for. If it’s too thin, return it to the heat and keep cooking till it thickens. Once it’s ready and cooled, transfer to a clean and dry bottle. Refrigerate till it’s ready to use. This sauce can be made ahead and it lasts up to 6 months in the refrigerator. Before using, bring down to room temperature and then immerse the bottle in a pot of hot (not boiling) water. Cajeta is best served warm. You can replace the vanilla with a flavouring of your choice. I made a second batch today with powdered cinnamon and nutmeg, which added a lovely depth to the cajeta. You can use cajeta as a cake topping or cupcake filling. Or spread it over toast or on cookies. Make your breakfast special by spooning it over pancakes or jazz up your cereal with it. Serve it with fruits or vanilla ice cream. 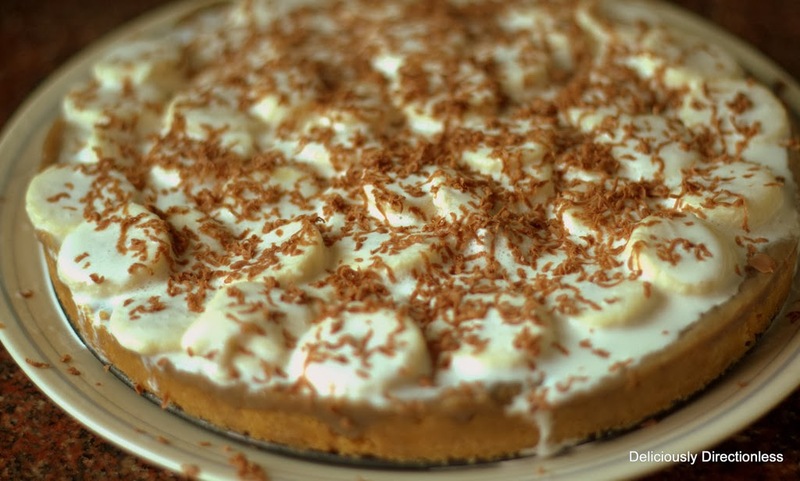 Or you can make Banoffee Pie! Here’s a recipe that I had posted last year. This time around, I made a Banoffee Trifle, which is even easier than assembling the pie. Crumble some digestive biscuits into the bottom of serving glasses. Arrange banana slices over it. Spoon over some cajeta and add a dollop of whipped cream. Repeat the layers and top it off with additional whipped cream and grated chocolate. Or stick half a Kit-Kat in it! Do not add sugar while whipping the cream to avoid making the trifle overly sweet. Watch the trifle being wiped off and stand by to make another batch 😉 But it’s easy to whip up this trifle if you have cajeta ready in your fridge. So try this recipe for your Christmas feast or for your next party. Trust me, your guests will be impressed!